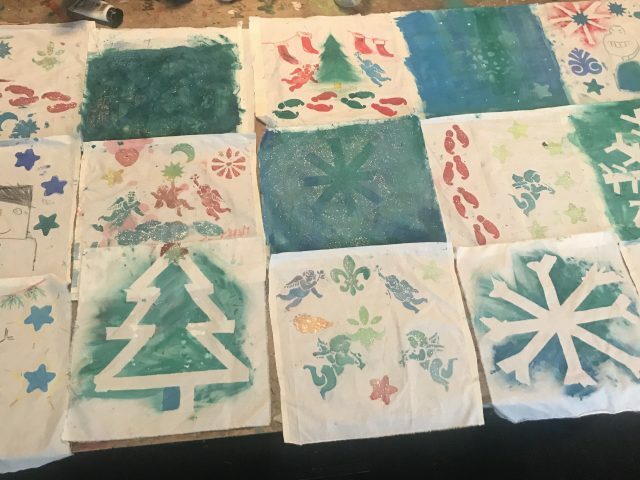 We’ve been having a great time since September when we were successful in working in partnership with the Arts team at Newcastle council and with Resident artist Karen Underhill. Responding to local need and providing activities for the under 8’s and their families we have been able to run weekly arts sessions. 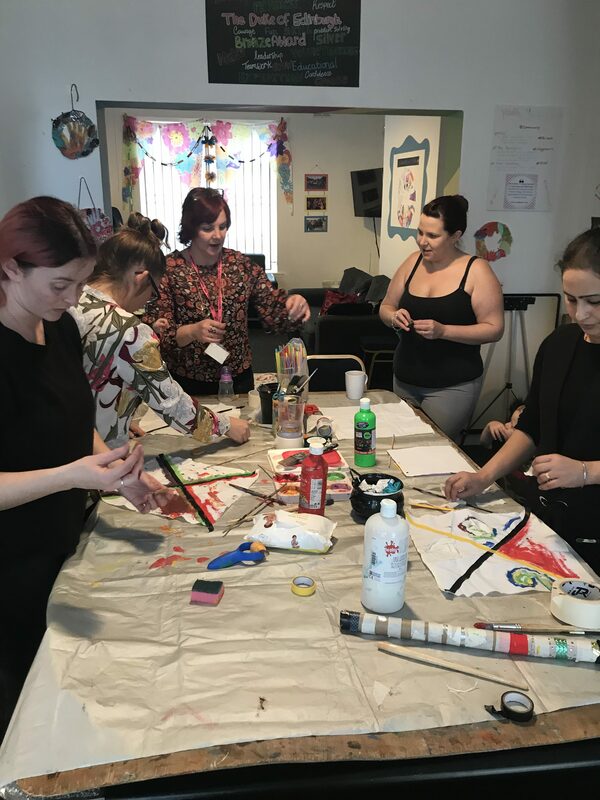 The sessions have encouraged creativity, messy play, making noise, experimenting with mark making and lots of other activities; as well as this its a good opportunity for parents to chat and relax with a cuppa. It’s been amazing to see what these talented 2 & 3 year olds can produce, the quality of the work made in partnership between mother and child has been of a high standard, and we can’t wait to show it off! As well as these weekly sessions we have offer the residency activities out to the wider community, as it seems unfair for them to miss out we’ve done! One off Saturday sessions and half term activities have been engaging the wider family; dad, grandparents and older brothers & sisters. With the theme of seasons taking over our project we’ve created a whole host of props and decorative banners to showcase in a final parade which has been planned for Saturday 30th March @ 3pm. If you want to come together and be part of the final parade, please come along to one of our upcoming sessions and make a contribution to the work we do. We want to bring together as many people as possible from the estate to parade their efforts for all to see and to get to know our neighbors better. There will be celebratory snacks and refreshments available for all on the day.